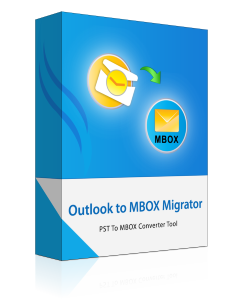 The Outlook converter can easily import Outlook PST to Opera Mail. There is no file size limitation to the .pst that is uploaded to the tool. The software takes a single Outlook.pst file and converts it to Opera supported format. It creates a single file for all Outlook emails with attachments. The Export Outlook to Opera Mail tool ensures that complete data integrity is maintained during transfer for emails. It makes sure that all email properties are retained and there are no changes in the output format. All email information and formatting are kept intact. There is no data loss during migration. The Import PST File to Opera Mail tool provides an option to keep folder hierarchy. It is not necessary to keep maintaining folder structure. This process saves a lot of time for large Outlook data file and prevents the needless conversion of data. It can be done with just click of a single button. By default, the tool aims to preserve folder hierarchy. All the import and migration steps can be performed under a single panel. All the buttons and functions are present in the same panel to make the task easier. The tool supports easy steps to import Outlook PST to Opera Mail. It provides a user-friendly software interface that can be used even by a non-technical person. Once the Export Outlook to Opera Mail process has been started, a live status report is shown. This report contains all the necessary details of the emails that are being converted. It contains details such as the current folder name, the folder count and the email count. The tool contains a powerful algorithm that is both reliable and relevant. To import PST file to Opera Mail, one needs Outlook installed on the migration machine. It could be any version including Outlook 2007, 2010, 2013 or 2016 for 32 bit. A dummy POP3 profile also needs to be configured with the MS Outlook application. The tool is compatible with both ANSI and UNICODE type of Outlook.pst file. Demo version of Outlook PST to Opera Mail software allows converting and saving first 15 emails only. Support: Windows 7, Windows 8.1 Windows 10 & all below versions of Windows. Can I use this tool to transfer contacts and calendar items? No,this tool can only export Outlook emails to Opera supported format. Can this tool repair any corruption or damage to my old Outlook PST file? No,the tool is only meant to convert a healthy PST file to Opera Mail. Can this tool directly add Outlook emails to my Opera profile? No,the tool can only import PST file to Opera Mail supported file format. This file needs to be uploaded to Opera so that Outlook emails can be read from there. Can this tool remove password from my encrypted Outlook data file(.pst)? No,the software can only work with PST files without any passwords. Do I require Opera Mail to be installed on the migration machine? Our hard drive just crashed and we had some old emails that we needed to be read on Opera Mail application. We decided to go with this PST to Opera Mail converter. It is a very small tool but quite powerful. At first, we were sceptical about the size of PST file that it can migrate. But the tool worked well with even large 4GB PST files. Thanx! I am a non-technical user who just wanted some of my emails to be read in Opera Mail. I could not decide whether to perform a manual conversion or buy an automated solution. I tried the free version of the Export Outlook Mail to Opera tool. It worked wonderfully. All my emails were transferred to Opera without any data loss. Kudos!